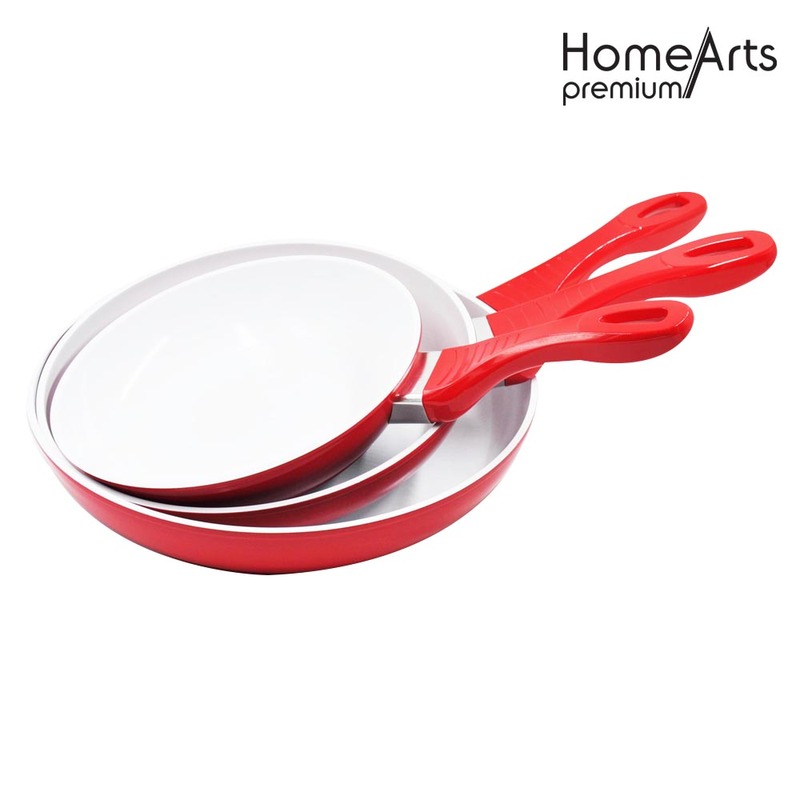 20*4.0cm&24*4.5cm&28*5.0cm 3 pcs forged frypan set. Induction bottom, PFOA free. Healthy ceramic coating. Nice half color box package. Edge/body/bottom thickness: 5.0/2.0/4.5mm. We can supply approval test certificates and FOOD SAFETY CONTACT APPROVAL. Comparing with other suppliers, we have a better product advantage and competitive price. Looking for ideal Frying Pans & Skillets Manufacturer & supplier ? We have a wide selection at great prices to help you get creative. All the Forged Fry Pan Set are quality guaranteed. We are China Origin Factory of Red Forged Fry Pan Set. If you have any question, please feel free to contact us.